From Concept to Creation, it’s all in the design. From Concept to Creation, it's all in the design. A peek behind the scenes of what it takes to become the next big name in the design industry. 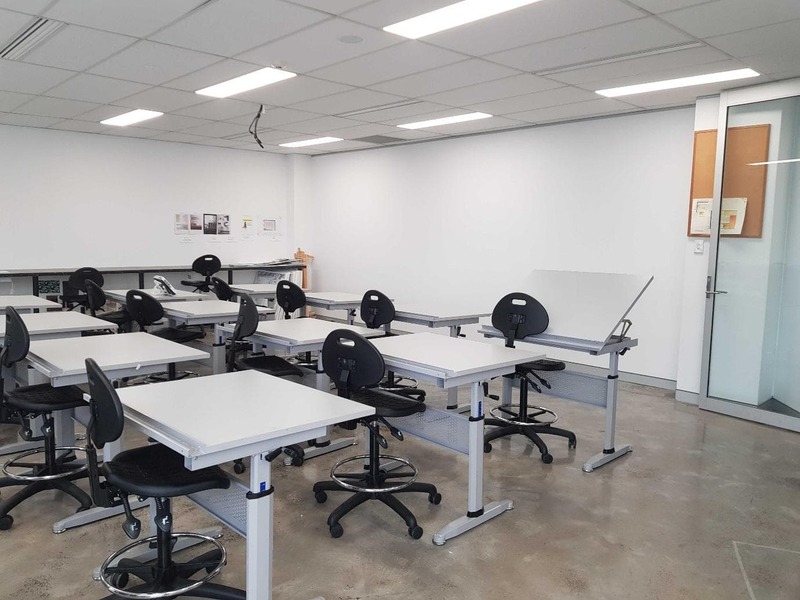 A Sydney’s world class Modern Creative Design college (one of 24, across 13 countries) is closing their Parramatta location. 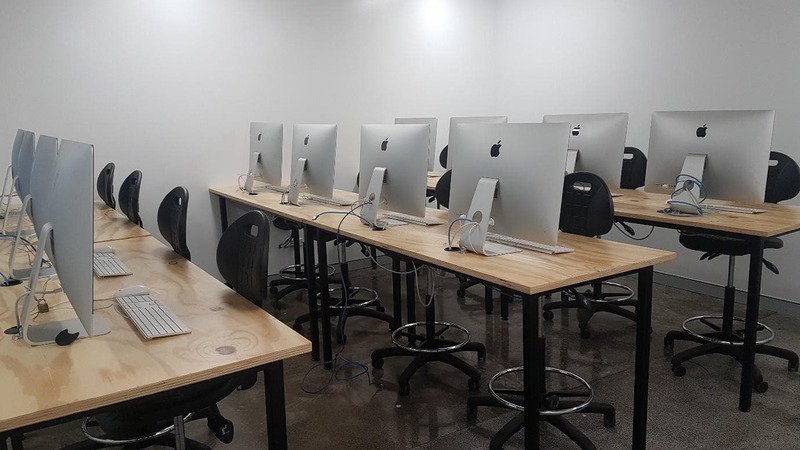 The college intends to sell all their design gear and furniture, including everything from 50 Apple Mac computers to more than 30 commercial Brother sewing machines! Better yet, everything is completely UNRESERVED, and all items start from just $1! There are some great bargains to be found in this high end auction as the items could go for any price! The design students were across disciplines such as photography, fashion, and graphic design. They were designing their own clothing pieces and then mocking up fashion shows and learning the marketing around those pieces. Just weeks ago, 1,500 students were busy working as their graduation date quickly approached. They were last ones to use this high-tech equipment and now, the corridors are left empty as they are now out in the big wide world, pursuing their design dreams! With Paris Couture Week Spring 2019 about to come to a close, it’s safe to say that we have been swept up in the beauty (and sometimes mystery), that comes with the announcement of new trends for the upcoming season of fashion. The gorgeous models breezing down the catwalk in the latest gowns from top designers gives the fashion industry a glamorous appearance. But fashion design is like the duck; gliding across the water beautifully… but paddling like mad underneath it. We take a walk-through of the arduous process it takes to bring the latest trends from merely a thought, to a complete look being showcased on the runway. Every designer, from student to the luxury fashion houses like Prada and Louis Vuitton, takes this journey from concept to creation! Everything always starts with an idea. Inspiration for fashion can come from anywhere and a lot of students will take quick photos of buildings, flowers or art that they come across that they like the look and style of. Designers often sit at desks and create mood boards for the piece or collection they are wanting to create. Piecing together colours, textures and even photos of other designs, the plan that leads to their vision of the final product starts to be crafted. Sitting down at a tracing table and using a fashion figure base body template, they draw what they imagine their garment to look like. The back light of the table means they can clearly see the outline of the body template and ensures they get all the proportions and movement of the clothing correct. It’s hard to imagine that some of the world’s most famous dresses, such as the Royal wedding dresses for Kate Middleton and Meghan Markle would have had such humble beginnings like this! After the design of the shape of the garment is complete, the sketch is scanned to a computer and this is where the designer can play with colour schemes and patterns. If they want to make a dress using a striped fabric, they can play with the angle of the stripes and see whether vertical stripes or stripes on an angle looks better. They get to have a visual representation of how the garment will look and can change their mind quickly and easily! They can also design their own fabric using programs such as Photoshop or Illustrator. Printing small swatches on paper can help the designer visualise the final product. They can also take the swatches to a fabric store to try and find a close match! 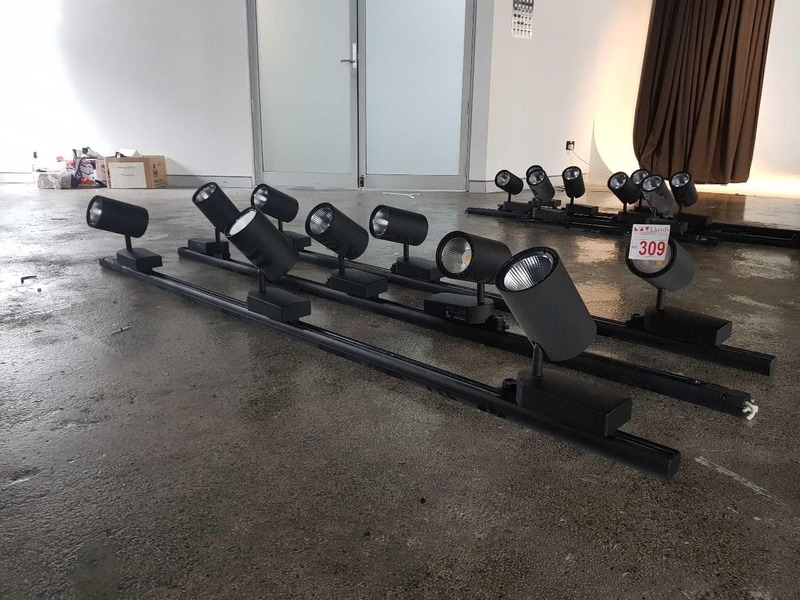 Apple Macs tend to attract a more creative market which is why you will see so many iMacs in this auction! Macs are great for designing and editing everything from fashion to film and audio. PCs are great for graphics and graphic design so if you’re in the market for a good gaming computer then a PC could be the way to go! After the design of the garment is fully complete, the real fun begins! The pattern is created on paper and then the fabric is traced from the paper template and cut to the shape and size needed. 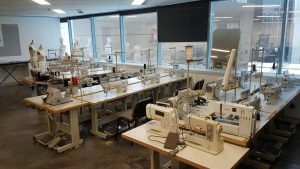 If you have ever seen the TV show, ‘Project Runway’ then you can imagine the Brother sewing room at the Design College was probably very similar to the one on the show! Using adjustable mannequins to drape, sew and fit to the exact measurements of the model can be fiddly and time consuming. Designers must keep their patience! 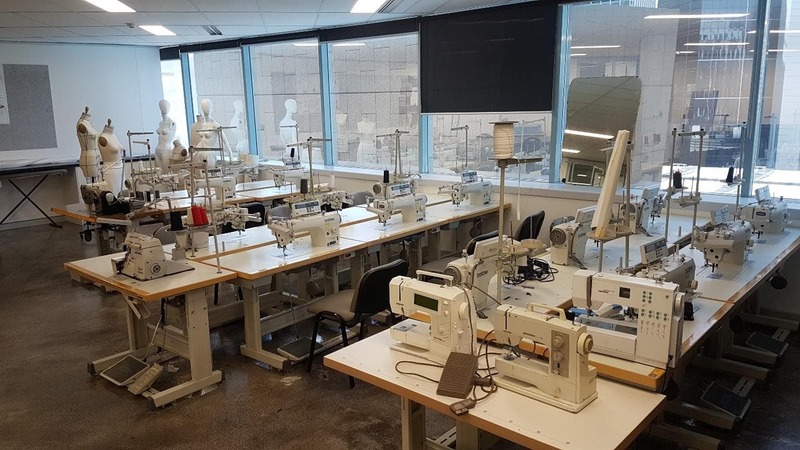 Our auction features over 30 Brother sewing machines that are the perfect all-rounders for a fashion designer or seamstress, even if it is just from your bedroom! There are also a handful of overlockers that sew a clean hem and some machines that are specifically for sewing buttons. And of course, you can’t forget the most important part… The ironing! It’s true what your Mum used to say, “things just look better when they’re pressed!”. Pressing each garment so it hangs perfectly is crucial to the overall look. Once the completed garment is fitted to the model, they are styled from head to toe including, jewellery, hats, bags, shoes… you name it! These accessories are as important to the final look as the clothing itself. The best way to showcase clothing is down a runway, of course! The audience can see the movement of the garments as the model walks and they get a true idea of the colours, textures and patterns of the fashion in front of them. The Sydney design college put together their own fashion shows to present the students’ work. They had a full stage set up which included lighting and music. Of course, this is all included in the auction! In order to fully preserve the fashion designer’s work, the model is photographed in the finished look. Photoshoots are either held in a studio, or even as the models walk the runway. The lighting, backdrop and props used in the photoshoot must reflect the overall style of the fashion designer’s look. Even the models themselves are chosen by their look, walk and if their overall vibe fits the designer’s vision! Sometimes in order to capture the behind the scenes material of a fashion show, GoPros are used. As the models are getting their makeup and hair done, impromptu interviews are filmed and candid shots are taken, which can be used in the marketing of the runway collection. The Sydney design college also had film and photography students who would use the fashion department for their subjects. 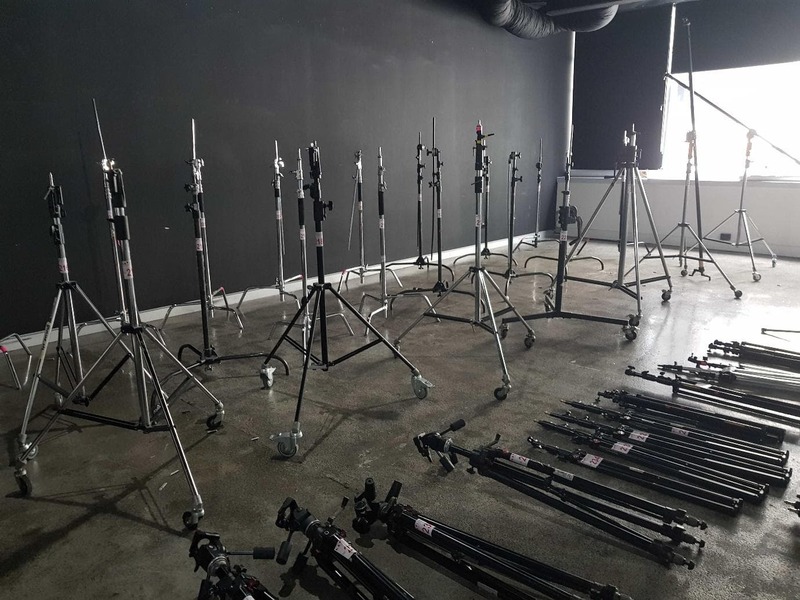 The students were doing full professional photoshoots in the college studio and all that equipment is up for grabs! Just about every photography accessory you can imagine has been used in these shoots, from flash diffusers to tripods to light shutters. Canon is known as the top of the line photography brand around the world, so it’s no surprise to see it in this auction! Once the photographs of the finished look have been taken, they must be printed! High quality, large format continuous printers can print large banners or backdrops. Printing smaller photographs to the highest standard is done on state-of-the-art flatbed printers. But new technology hasn’t fully taken over just yet! We are at that tipping point where digital meets traditional and in terms of quality, in some circumstances, traditional processes still come out on top. Developing film in a dark room is still a skill that is learnt by many photography students at school or college. We secured the trays and accessories for the pool that the photography students developed their photos in. So, if you believe in preserving the art of developing photographs in a dark room, then this is your chance to buy equipment that is rare to come across at this standard! We are extremely excited to offer these uncommon, but valuable items to the public! With 25 years of history, the design college has many hi-tech and very well looked after items up for auction which could sell for any price! 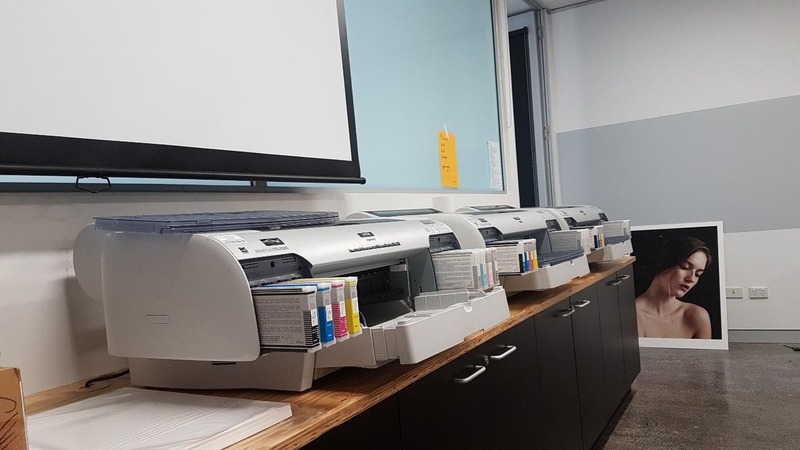 Because all the equipment was being used during the last semester, a matter of weeks ago, you know that it is all fully functional and there are some bargains to be found! If you want to keep up to date with design auctions we have, then simply register your email address below to receive alerts straight to your inbox! They will be hot off the press!